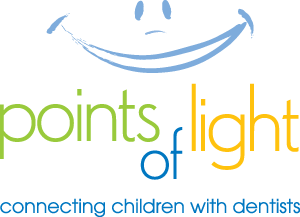 The mission of the Points of Light (POL) project is to promote youngsters’ first dental visit by age one. POL features a searchable database of participating dentists who accept Infants, Head Start students and Children with Special Health Care Needs (CSHCN). Future Media Corporation designed this Content Management System (CMS) website for the POL organization that is easily updated and maintained, and is expandable as the program grows. 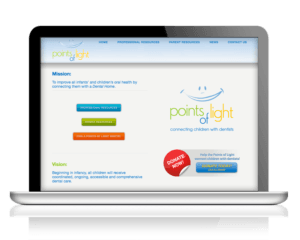 The searchable database displays contact information and geographic locations for participating dentists, resources for professionals and parents, and an informative video (produced by Future Media on “green screen” in our sound stage/studio) that better explains the Points of Light concept and program.